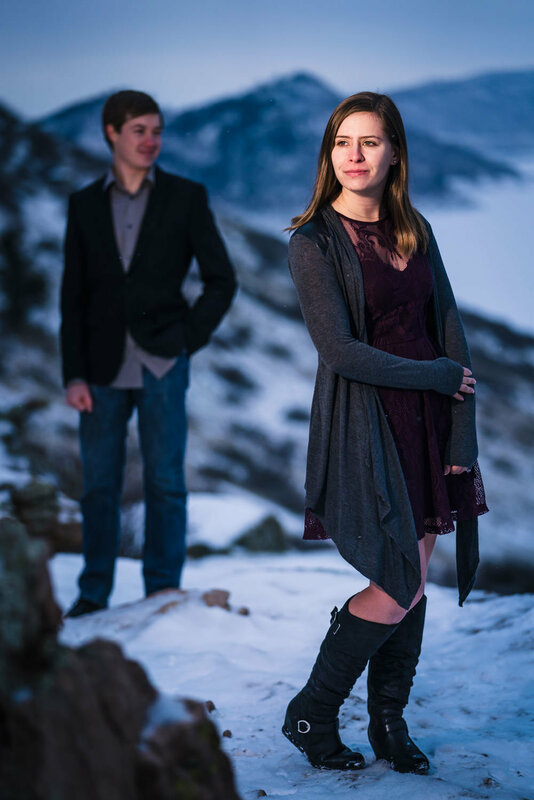 Horsetooth Reservoir in Fort Collins Colorado is always a beautiful place for engagement photos, but especially after a fresh snow storm. We had a blast hanging out, freezing our butts off and getting to know each other better. They have a beautiful story and I'm honored to be their photographer adn to capture their beautiful wedding next September.